When we had dinner a couple of Saturdays ago at the house of my neighbor Andre Borromeo, I posed this question to a group of Cebu’s top golfers. There was Atty. Jovi Neri, Marko Sarmiento and Bayani Garcia. All are former club champions of the Cebu Country Club. Can Tiger Woods win another major? The response was easy: Yes. These diehard TW fans reminded me of his 2018 Tour Championship win. They were confident, despite knowing that Eldrick Tont Woods was already 43 years old, that Tiger would win someday. Will “someday” be Sunday? As you read this, the third round of golf’s most illlustrous tournament has concluded. I don’t know how Tiger performed on Saturday but for the first two rounds of The Masters, he was as good as anyone. He shot a 2-under 70 last Thursday and a 4-under 68 last Friday for a 6-under scorecard midway through the event held in Augusta, Georgia. He’s just one shot behind the leaders. Unfortunately for Tiger, the leaderboard is littered with a who’s-who of former major champions: Scott, Oosthuizen, Molinari, Jason Day and one of the hottest players today, Brooks Koepka, who has won three of the last six majors that he’s played. But the golf stage this weekend belongs to Tiger. One incident highlighted the second round: After his approach shot on the 14th hole, Tiger was nearly mobbed by the crowd as a security guard sprinted towards Tiger and slipped, hitting Tiger’s right foot and nearly injuring the golfer. Can you imagine if Tiger sprained his ankle and had to retire because of an injury? Another injury! But, no, Tiger’s shot landed 20 feet from the hole and he calmly putted it for birdie. 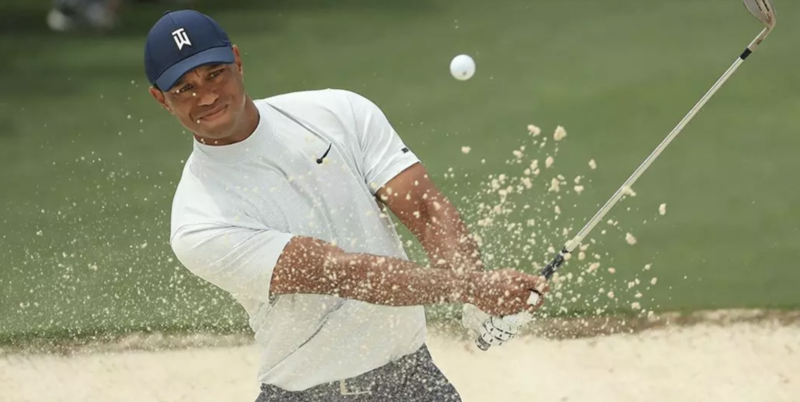 If Tiger’s lucky out-of-the-woods escape and good fortunes continue this weekend and he wins the 85th Masters, it will be one of sport’s greatest combacks. Consider this: Tiger is 43 years old. Although Jack Nicklaus was 46 when he won The Masters exactly 33 years ago, very few 40-plus year-olds win major titles. The last time Tiger won a major was the 2008 US Open. Injury after injury; scandal after scandal.. Tiger’s playing some of his best golf. Let’s hope Tiger’s someday is Sunday. On TV, I rarely watch live sports nowadays. 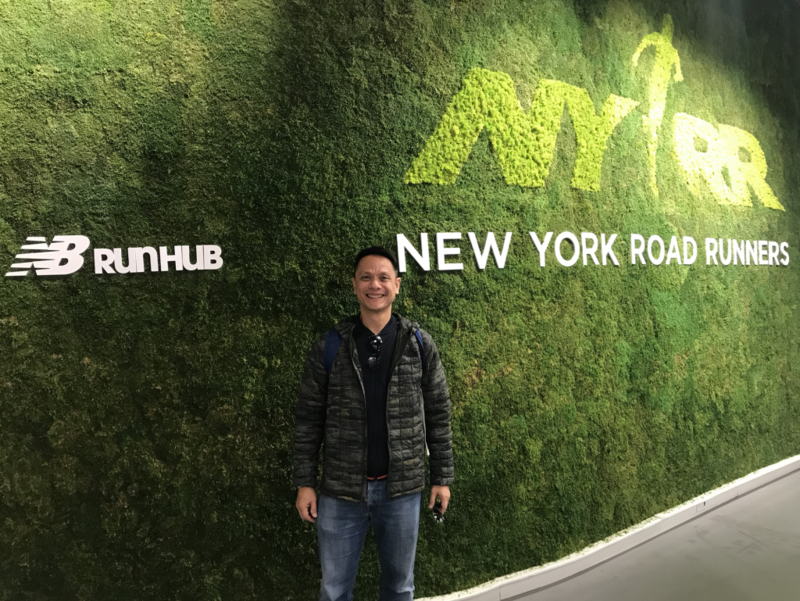 Unless it’s a major spectacle like the upcoming Warriors-76ers NBA Finals or a La Salle-Ateneo UAAP game 3 or a Rafa-Roger contest in New York, I opt to visit one of the world’s most visited websites: YouTube. Here’s what I do: I don’t scan the results and wait 40 minutes after any sporting event has finished and it’s right there, an 11-minute summary of the game. It has zero commercials and nobody misses! Every attempt on YouTube is a good shot. Yesterday, that’s what I did. It was the Sweet 16 of the NCAA basketball tournament between Duke University and Virginia Tech. I rarely followed the NCAA games in the past but this year is extra special. Zion is an 18-year-old Duke University freshman who stands 6-foot-7 and weighs 285 lbs. But what separates him from the dozens of other college dribblers are his LeBron James-like physique, his jumping ability, his left-handed aggressive moves, his gravity-defying block shots and his rim-shattering dunks (including dunking from the free throw line). Zion has the bulk and size of a power forward but he struts like a point guard. How high can Zion go? He is surely going to be the No. 1 pick in the NBA Draft. The joke around the NBA is this: #NotTryinForZion. It means the worst-performing NBA teams are purposely losing so they’ll get a better chance of drafting him. Duke and Zion are in the NCAA Last 8 and will play Michigan State tomorrow (Phil. time). 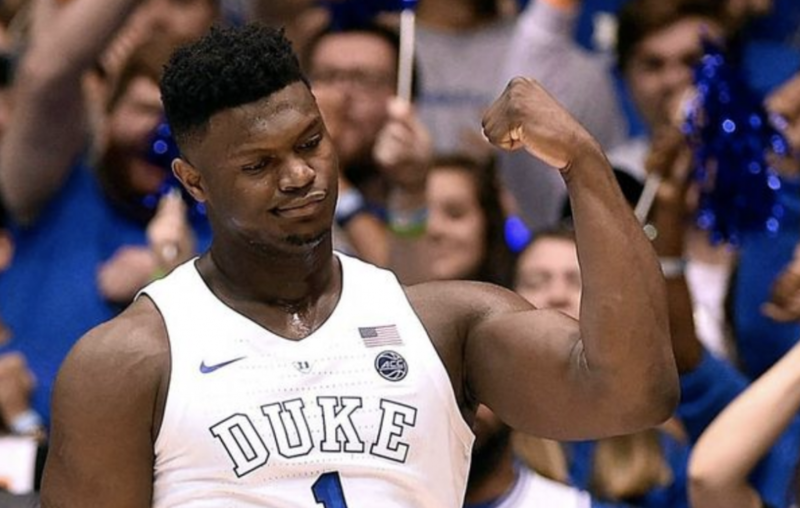 If Zion helps coach Mike Krzyzewski win his sixth NCAA title for the Blue Devils, it will elevate Zion to a stature as the best-ever collegiate player of his generation. Zion can shoot a good 3. And, the most controversial happening this season, he can also break open a Nike shoe, injuring his foot.. which was such bad publicity for Nike that the company’s shares dropped by $3 billion. That’s the power of Zion. Not last night. Not last Friday as we celebrated the International Women’s Day and not this Women’s Month of March. AWUM, it’s called, and the full spelling is All Women Ultra Marathon. It’s not a 5K, 35K or 15K; it’s much more. It’s 50,000 meters of running. A total of 350 AWUM women braved the city streets of Lapu-Lapu, Cebu and Mandaue last night. They started at 10 p.m. 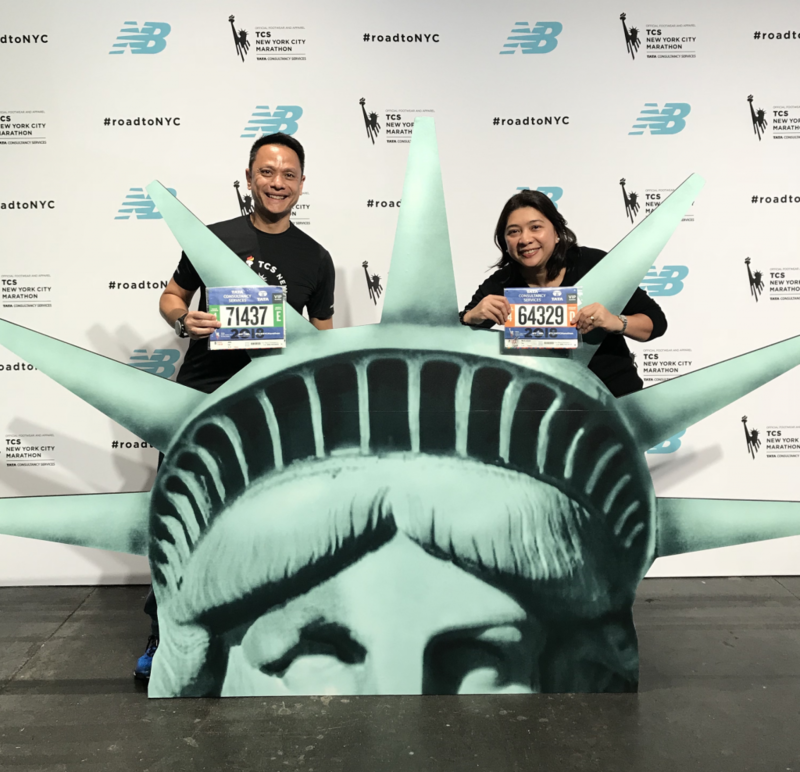 The fastest runners to finish will be speedy (Lizane Abella set the course record last year, clocking 4 hours and 21 minutes). But majority will take a relaxed jogging pace, finishing around 6 a.m. The cutoff is at 8 a.m., giving the ladies 10 hours to complete 50K. 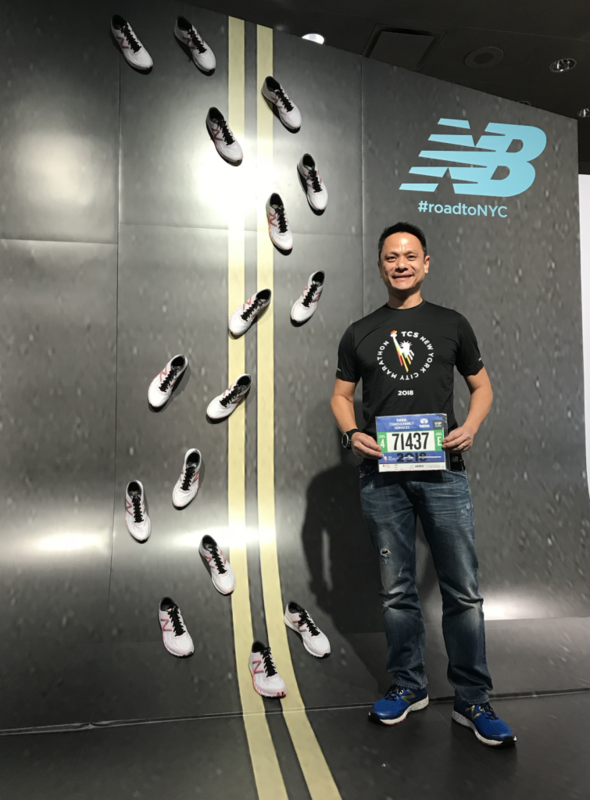 Unlike larger events like the Cebu Marathon or the 7-Eleven Run, the roads are not closed. The women will have to wear blinking lights gear and strap neon stickers and run on the roadside. They’re brave. One of the participants is my beautiful wife Jasmin. 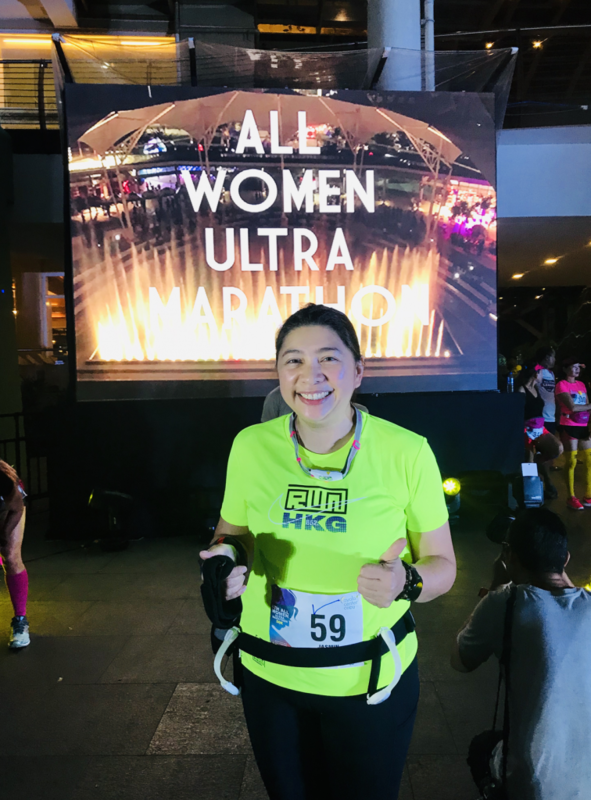 I recall us visiting the starting line of AWUM several years ago at the Cebu City Hall and Jasmin declaring that she’ll run the event someday. That someday is today and she’s accompanied by her dear friend Jewel Co.
And, as if running 50 kms. is not challenging enough, the route is difficult. 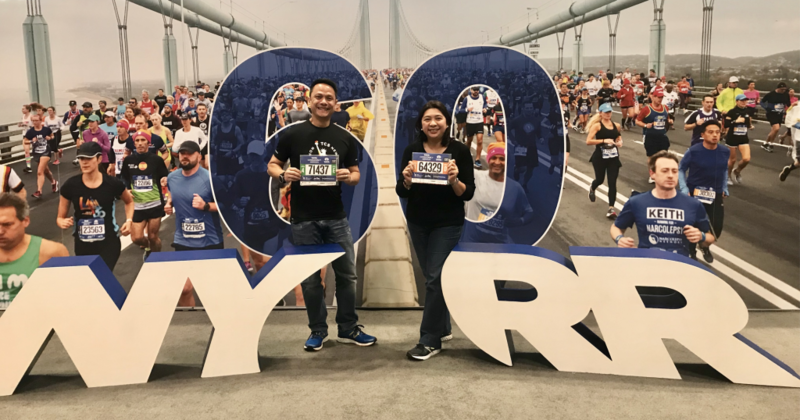 It will include four climbs: first is the climb up Busay all the way to the U-turn point in the Busay Barangay Hall; on the latter part of the race are three of Cebu’s bridges: Cansaga, Marcelo Fernan and the Mactan-Mandaue Bridge. 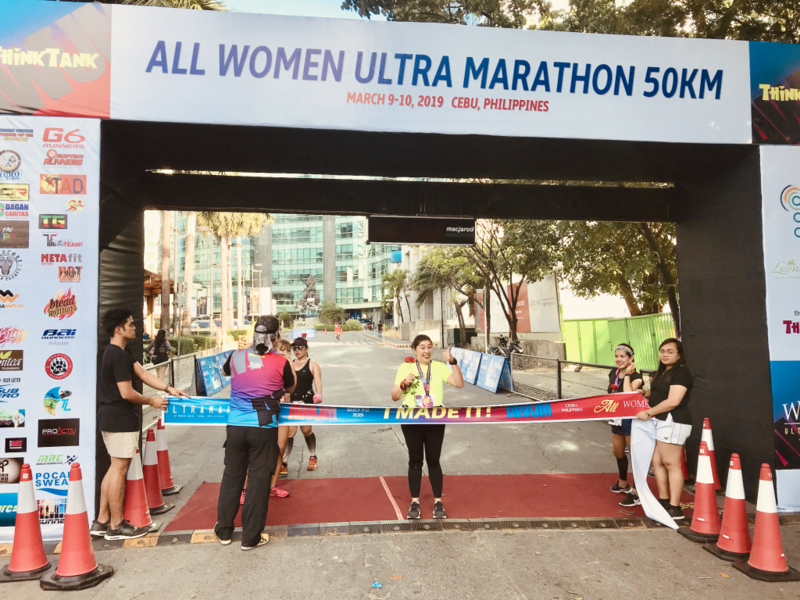 These superwomen — running 50 kms. the entire night — are fearless. What will help motivate the ladies is the presence of 28 volunteer running groups who will spread themselves every 1.5 kms. to feed, massage, hydrate, “retouch” and put on make up on the tired but lovely faces of the ladies. 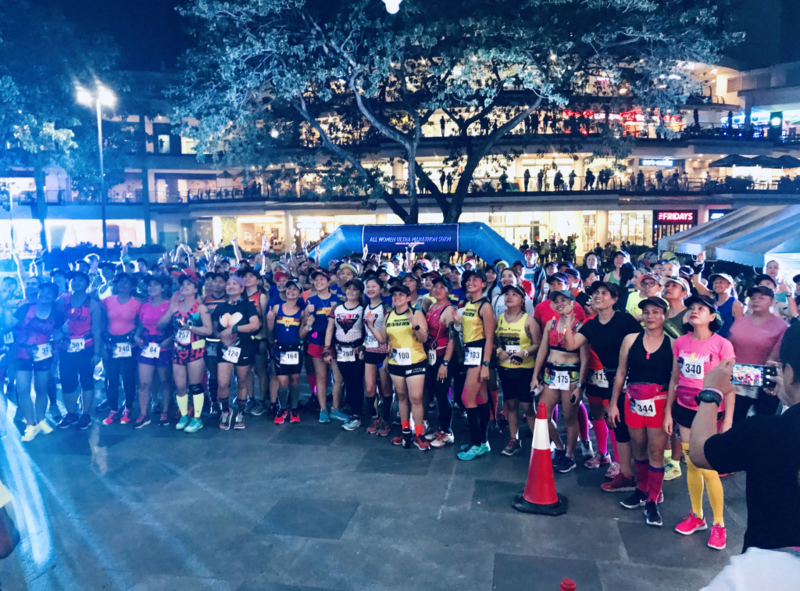 I attended the Race Kit collection and Race Briefing last Friday night at the garden of Ayala Center Cebu (across Belo) and it was a celebration of womanhood. Joel Garganera, the Cebu City councilor who is the founder of AWUM (together with race director Dr. Willie Estepa and the group ThinkTank), spoke to motivate the crowd. Of the 350 AWUM runners this 2019, a whopping 40 percent are first-timers. “AWUM virgins!” Garganera calls these bravehearts who’ll be running their first AWUM 50K. Bravery? Toughness? Willingness to endure pain? Grace under agony and discomfort? Resilience? Grit? They all spell W-O-M-E-N.
We, men, bow to the women. 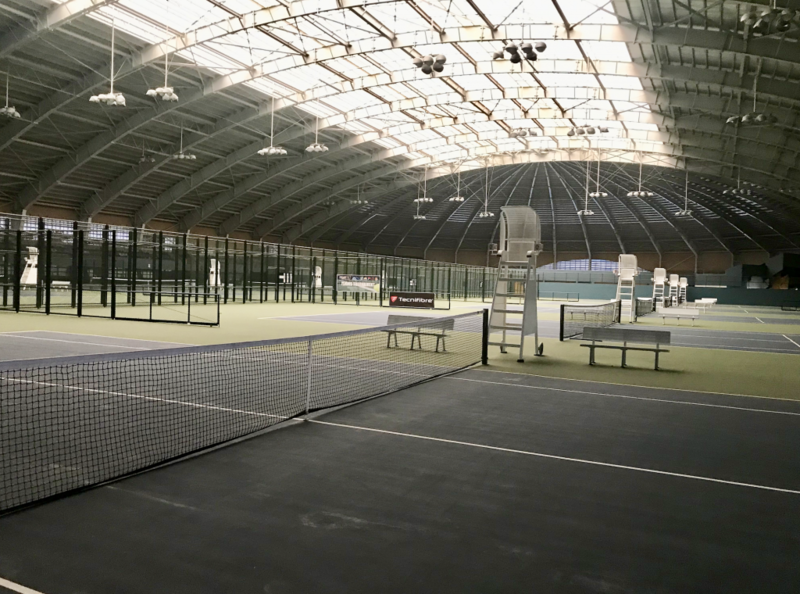 Where is the best tennis facility in our 7,107 islands? If you answered Cebu (no way! ), Rizal Memorial in Manila (not anymore), Subic (yes, but once upon a long time) or PCA in Manila (no), you guessed it all wrong. The answer? Bulacan. Yes, the province in Central Luzon that’s a couple of hours travel from Metro Manila. 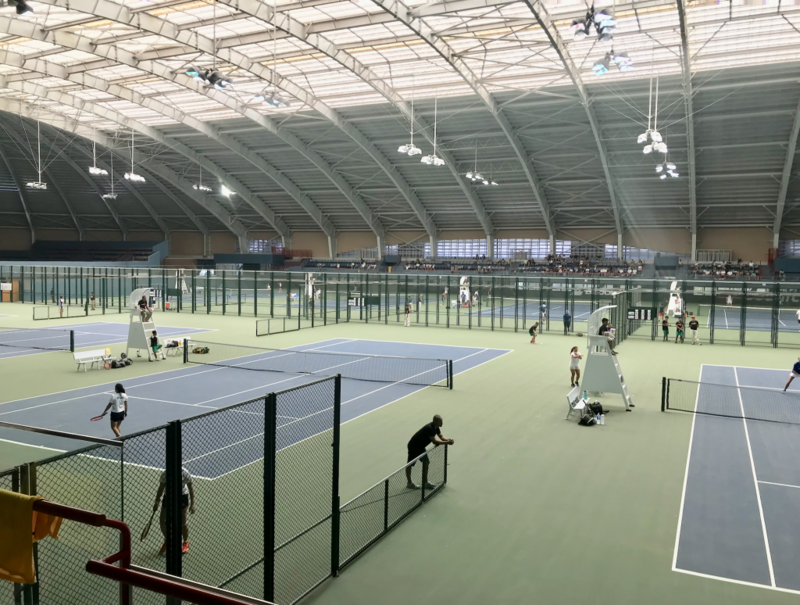 The Colegio San Agustin (CSA) – Bulacan, the sprawling 20-hectare school that was built just three years ago, houses the country’s best tennis courts. The total budget — based on what I heard — was P1 billion. This amount includes a mix of world-class sports facilities. There’s an indoor basketball gymnasium that seats at least 3,000. An Olympic size swimming pool. There’s a standard football rectangle and track oval. Plus several other top-notch sports facilities. All are housed in a gigantic structure that looks like a spaceship (or a giant mall) from afar. And, at the topmost floor of the multi-level building are 11 tennis courts. Five courts on each side complete with bleachers and, at the far end, a center court that’s surrounded by its own seats. The 11 courts are all indoor and hard-court and they carry specs that’s similar to international standards. Last weekend, my wife Jasmin and I were in Bulacan. For the first time in the history of the UAAP (now on its 81st year), the tennis matches are being played in CSA-Bulacan. In years past, the games were held at the Rizal Memorial Stadium, right beside La Salle and several universities. Last year, when the players and school officials first heard of the move to transfer the games to Bulacan, complaints reverberated. That’s too far away.. a two-hour-plus drive! they hollered. The CSA-Bulacan indoor tennis stadium opened only last year. And, as evidence of that, many of the sturdy plastic chairs in the bleachers were still covered with plastic. The whole school is huge. Since they opened the campus in 2015, there are a few students thus far.. only 110 students in the elementary and high school levels. But the long-term goal is to have a full-scale university that will include college courses. The campus houses a building with dormitory rooms and a sizable chapel that seats hundreds. 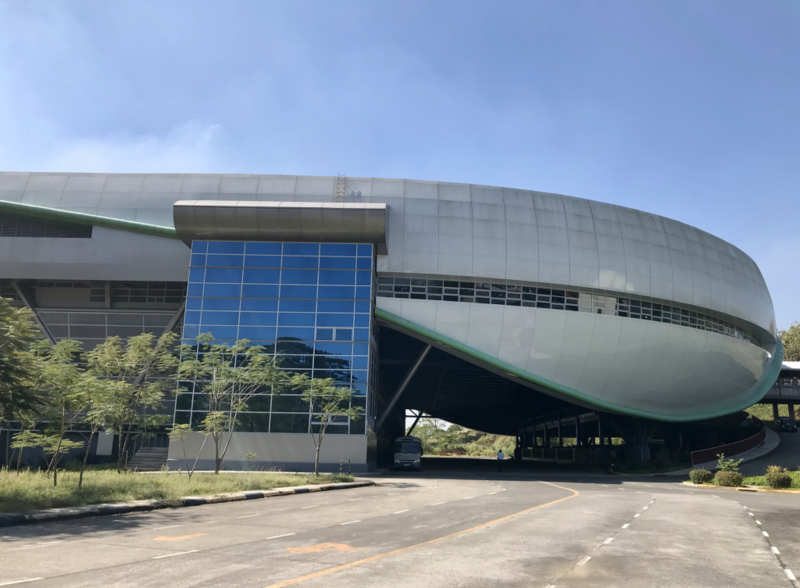 From what I heard, the property (located in the city of San Jose del Monte) was donated by the Araneta family to CSA and the school raised the funds for the multi-billion project. It is situated beside the Ayala Land Inc. 98-hectare project called Altaraza. Build it and they’ll come. That’s the overriding message that strikes me when I think about the humongous sports school project. Even if it’s located far from Metro Manila, they built it. And my bet is that, in the long-term, with the growth spreading outside the metropolis and better transportation systems are in place, this CSA-Bulacan sporting heaven will thrive. Manny Pacquiao is 40 years old. Roger Federer turns 38 this August. LeBron James missed 17 games for the first time in his 15-year career — a sign of his aging 34-year-old body. Tiger Woods is 43. He’s improving and my hunch is that he’s poised to win a major this 2019. One more example of the old-but-still-the-best athlete? Tom Brady. It’s Super Bowl LIII tomorrow (Phil. time) in Atlanta, Georgia and the protagonists are the Los Angeles Rams and the New England Patriots. The leader of the Pats is, as we all know, their quarterback. A five-time Super Bowl champ, he is the Michael Jordan of the National Football League. Tom Brady is 41 years old. For a sport that’s one of this planet’s most physical, Tom Brady’s endurance is phenomenal. The NFL is rough and ruthless. Imagine a 320-lb. linebacker sprinting 21-kph to smash an easy target? Tom Brady has faced that kind of assault since he started in 2000. And despite being 41, the 6-foot-4, 225 lb. Brady is still American football’s unparalled top dog. Among us, the mortals and ordinary exercisers, the same pattern has emerged. If you survey the ages of those doing the Ironman 70.3 race, the average age isn’t 21 or 29. You see plenty of 40- and 50-year-olds. 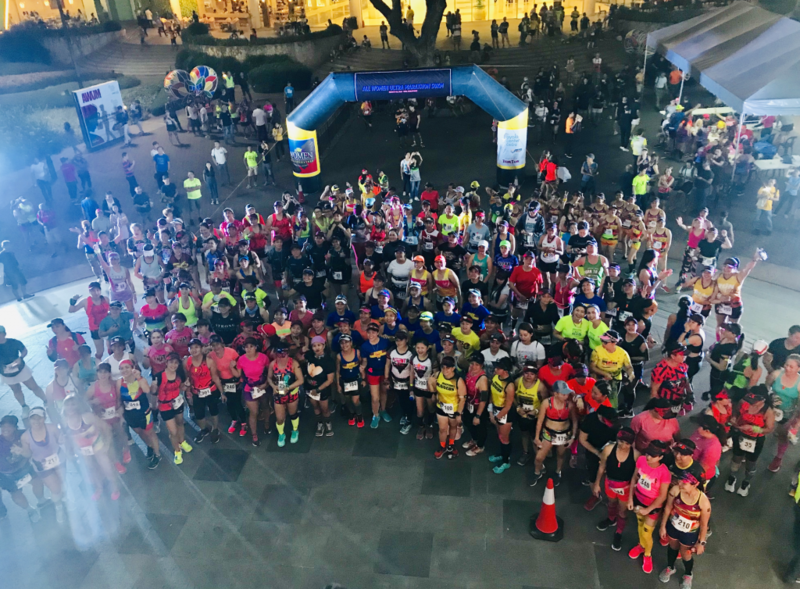 In the grueling 42K race called the 2019 Cebu Marathon, the 31 to 40 age bracket was a high 34 percent of all participants. For the 41 to 50 years old, the figure was 23 percent. 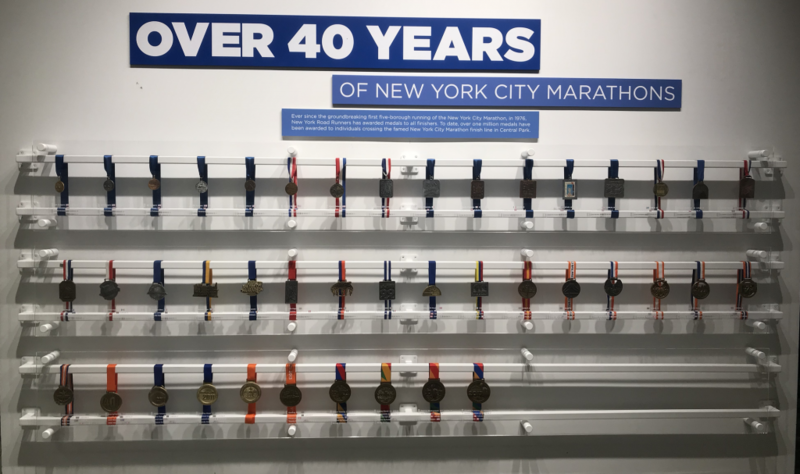 In total, the ones aged 31 to 50 comprised 57 percent of all CCM runners. Why is it possible for “old” athletes to excel? First, the elite athletes are able to pace themselves better. Take the case of Roger Federer. Instead of playing every single ATP event, he chooses a handful of the most important and only joins those. He even skips the strenuous clay-court season (including the French Open) to rest his body for Wimbledon’s soft grass or the hard court of the US Open. Three, there are some people who are just one-in-a-billion. Take Pacquiao. At 40, he’s supposed to be long retired, having fought in 70 pro fights. (As comparison, Oscar de la Hoya retired after 45 fights.) But Pacquiao is still lightning-quick, lethal, high energy, and pocketing millions of dollars. They’re No.1 and No. 2. One is Serbian and the other is Spaniard. One swats that forehand as a right-hander while the other is a muscular lefty. The two have met 52 times: Novak Djokovic with 27 wins vs. 25 from Rafael Nadal. It’s the Australian Open final today at 4:30 p.m. (Phil. time). Choosing one over the other is hard. In major finals, it’s Nadal with a 4-3 edge. But when you examine their outdoor hardcourt battles, Djokovic has a commanding 14-5 lead. Novak and Rafa are at the peak of their games and both are raring to fight for tennis’ heavyweight championship. My pick? Unlike Dr. Rhoel Dejaño who idolizes Djokovic, I’m a Nadal fan. And with his improved serve and forehand, I hope the Mallorcan-native will win his 18th major. Not having played in a tournament since his US Open injury last September, he has resurfaced as a hungry Spanish bullfighter. I hope Rafa wins. But that’s far from certain. If we look at the odds, they favor his nemesis, who’s a -135 favorite (bet $135 to win $100). But while the choice of winner (prize money: $2.9 million) is no guarantee, what’s guaranteed is a combat; a baseline warfare loaded with two-handed backhand bombs, delicate drop shots, volleys, slice shots, screams, fist pumps. The only time the two met in the Oz Open final was seven years ago. It lasted 5 hours and 53 minutes with Novak winning 7-5 in the fifth set. At Wimbledon last July, Novak won 10-8 in the fifth (five hours and 15 minutes). Tonight, are we expecting another five-hour, five-set marathon? Maybe. It will be a Gladiator-like bloodbath with the Head and Babolat rackets as swords; an Ironman contest between a Lacoste-wearing 31-year-old vs. Nike’s 32-year-old star. It will be about longevity. It will be about dominance. Because while the likes of Tsitsipas, Zverev, Thiem and Khachanov want to triumph in the majors, they’re not welcome yet. Including Roger Federer’s 20 majors and Nadal’s 17 and Djokovic’s 14, the Big Three have won 51 of the last 62 Grand Slam trophies since 2003. The rest of the world has won only 11 in the past 15 years. This is more than dominance. It’s a near-monopoly and dictatorship by Roger-Rafa-Novak. Today will be 52 of 62 major wins (with an 84% win ratio) for the Big 3. Rafa in four sets. Vamos! As you’re reading this, the Cebu Marathon is underway. 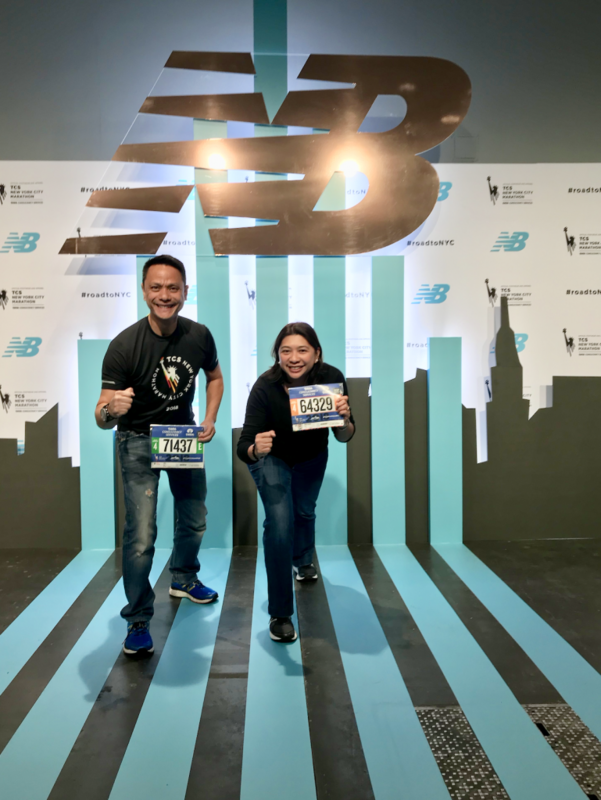 Starting at 3 a.m., over 1,300 runners will start their long trek from the Cebu Business Park and run a crazy long distance with the aim of being called this: Marathoner. 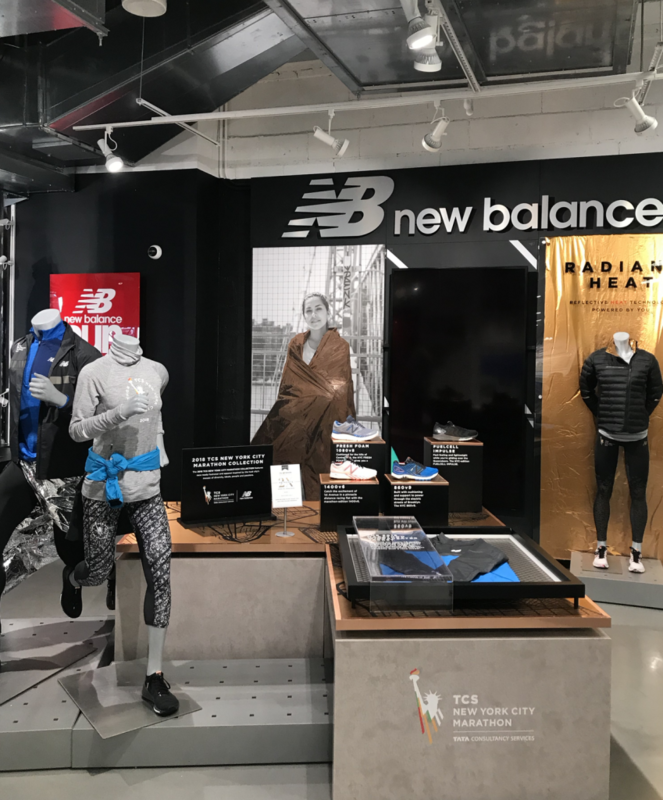 Its history dates back to 490 BC in the Battle of Marathon when, according to legend, a Greek soldier named Pheidippides ran to Athens to report the defeat of the Persians. 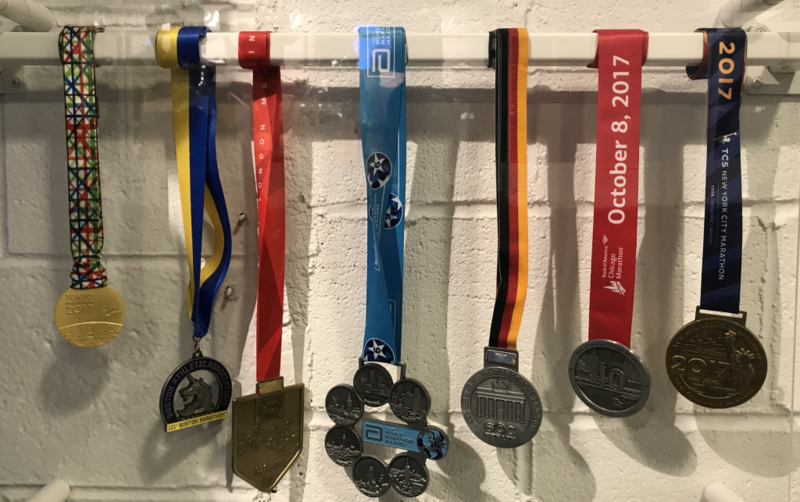 Fast forward to 1896, when the Olympic Games were first held in Athens, the marathon was in the original roster of events. What makes our Cebu race special is the Sinulog. It’s timed perfectly a week before the grand parade; thus, the drum beaters, banners and dancers all contributing to a festive, Pit Senyor occasion. The Hydration Stations, over a dozen of them scattered throughout the route, are stops not only for drinking water or Pocari Sweat but also to get rejuvenated. Entertainment is a must among the water stops — giving a much-needed boost to the wearied runners. If you’re a participant today, congratulations. 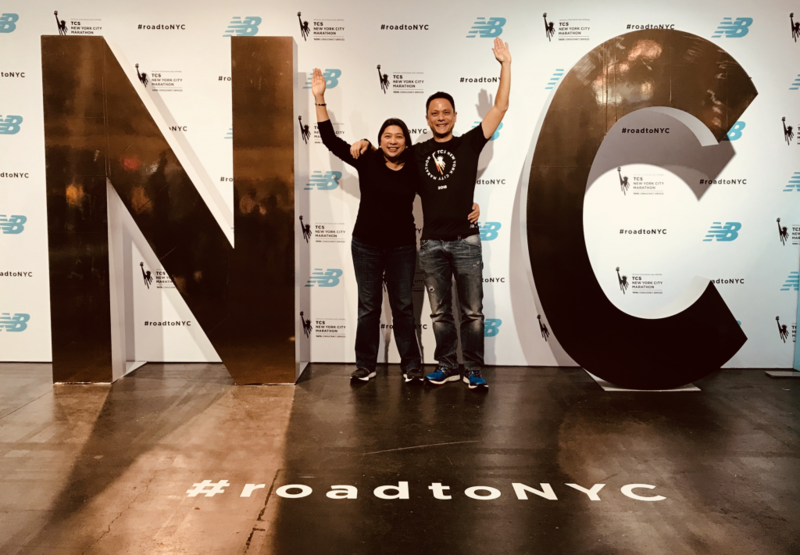 It doesn’t matter if you’re a sub-3 runner (like our Olympian Mary Joy Tabal) or it will take you the full 7 hours to complete the journey. What matters is that you joined and finished. 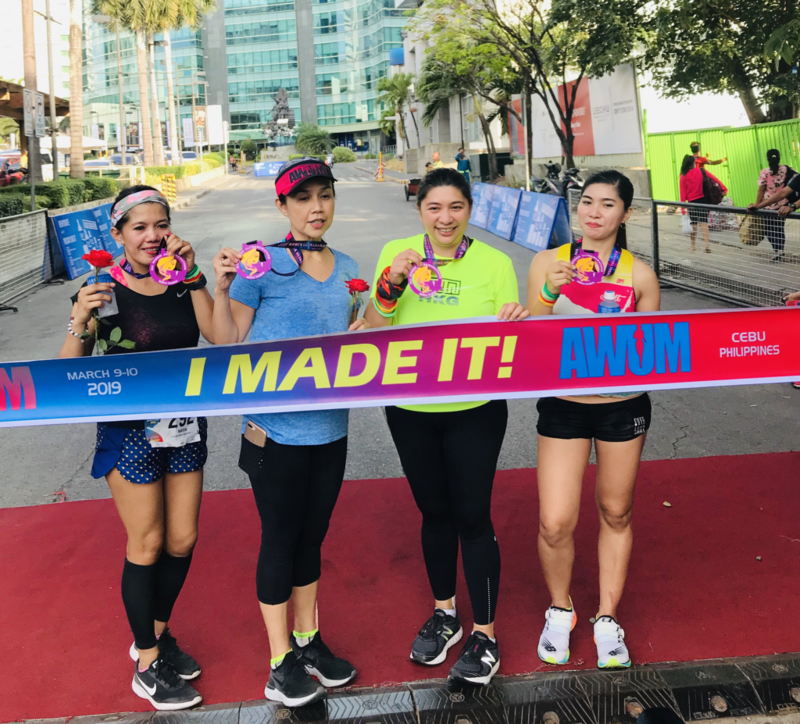 If you’re a regular Cebu resident like majority of the SunStar readers, why not “join” by going out early today (the event will conclude at 10 a.m) and cheering on the participants. Finally, if you’re driving and will encounter heavy traffic, be patient. 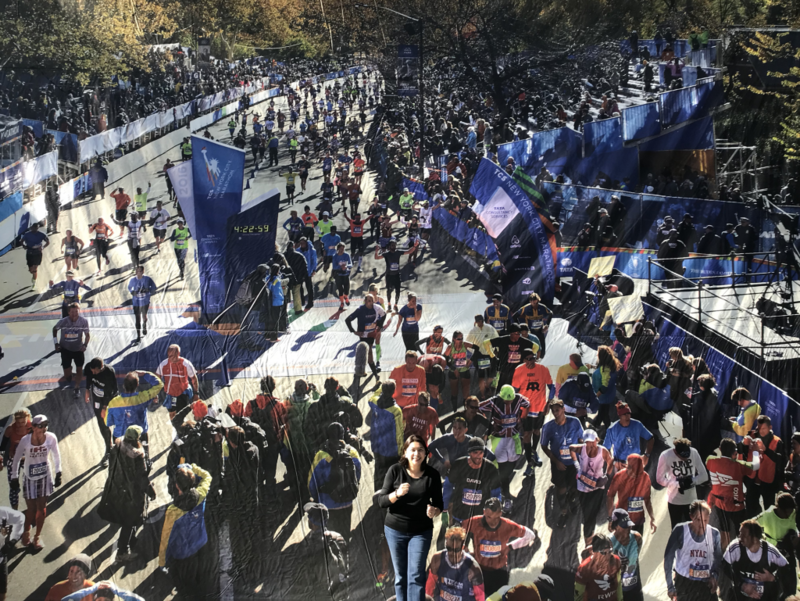 Think less of your inconvenience (sitting down, possibly in an aircon car) and think more of the sacrifices and sweat endured by the marathoners on the road. Prior to his fight against Conor McGregor two weeks ago, I had never heard of the 30-year-old Russian. Now, I’m a huge, huge fan. What he did seconds after he forced McGregor to tap and quit — climbing the Octagon and inciting a near-rumble — was absolutely bad. It was bad for UFC, bad for mixed-martial arts, and bad for himself. But remove that post-fight brouhaha and you’ve got a wrestling and ground-and-pound champion our planet Earth has never seen. Conor anticipated the plan of the 5-foot-10 Khabib. It was to fight horizontally, not vertically. Khabib’s goal was to trip him so Conor falls. But despite trying to avoid that scenario, Conor fell prey. The grappling prowess of Nurmagomedov is incredible. Khabib’s grappling ability started at a very young age. Did you see him wrestle with a real-life bear when he was nine years old? You have to watch that YouTube clip. His father and coach, Abdulmanap, explains that crazy act that happened in 1997 in Dagestan, Russia. What’s next? It depends on the sure penalty and suspension that the Las Vegas authorities and the UFC will announce. The hearing is set this Wednesday, Oct. 24. On the reported Floyd Mayweather, Jr. boxing gig, this is crazy. 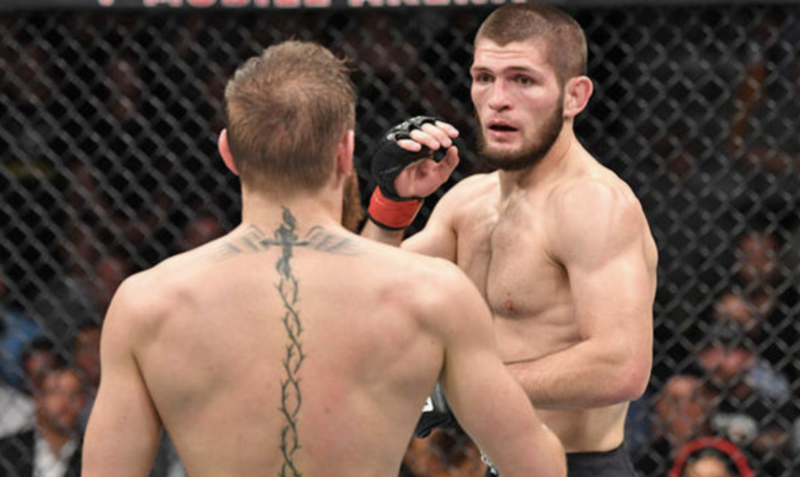 The Floyd-Khabib fight will net each person tens of millions. But no way that Khabib can win. His strength lies when he lies on the floor — not while punching. My guess is that he’ll fight the 5-foot-11 California resident next. Ferguson deserves a shot but he’s got no shot at beating Khabib. Which brings us to a rematch later next year with Conor, The Notorious. And if their UFC 229 encounter two weeks ago netted over 2.4 million PPV buys, this Part 2 will exceed 4 million. The winner? Both. From a marketing and loud-mouth viewpoint, it’s the Irishman. But inside that 8-sided cage, it’s hard to grapple with “The Eagle” losing. Like the Olympics and the FIFA World Cup, the Asian Games are held every 48 months. This sporting spectacle is significant. Of the planet’s 7 continents, Asia is the largest with 4.5 billion people covering 60 percent of the world’s 7.5 billion people. The cities of Jakarta and Palembeng in Indonesia are co-hosting the 16-day meet that started with the Opening Ceremony last night and concluding on Sept. 2. A total of 45 nations representing 11,000 athletes are participating. Indonesia was not supposed to host; but in 2014, Vietnam backed out because of financial concerns and Indonesia stepped in. The Asian Games — also referred to as the “Asiad” — started in 1951 in New Delhi, India. Guess who hosted the 2nd Asian Games? Our very own Manila. 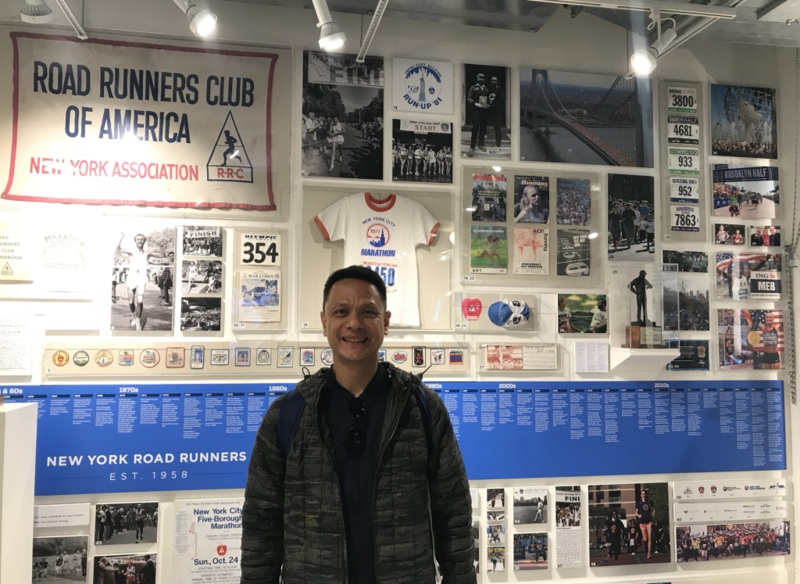 Back in 1954 when Ramon Magsaysay was president, we hosted a small contingent of 970 athletes (from 19 countries) and our Philippines ended up 2nd place overall. The main venue in that Asiad 64 years ago remains our main venue today (this shows how much we have NOT progressed): Rizal Memorial, built in 1934. We have not hosted another Asiad since 1954. For Team Philippines, we are sending a delegation of 281 athletes representing 31 sports in Indonesia. A total of 63 officials will be attending. Our flag bearer? You’ve heard the news: it’s Jordan Clarkson, the 6-foot-4 former teammate of LeBron James whose mom Annette Davis hails from Angeles, Pampanga. Gilas Pilipinas is, in our basketball-crazy nation, the team to follow. It was a controversial “yes,” “no,” and finally “yes” decision to allow the team to participate. I’m glad Gilas joined. They humiliated Kazakhstan in the first game and, with Clarkson as leader, will play China this Tuesday at 5 p.m.
Mary Joy Tabal, the pride and joy of Cebu, will be joining the 42K road race. 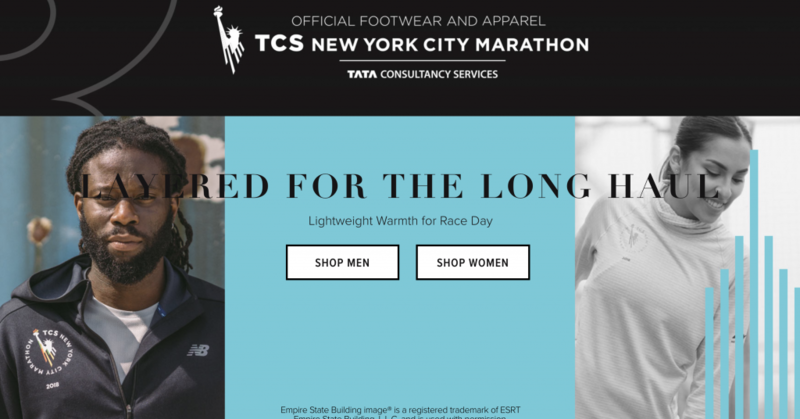 The women’s marathon is scheduled seven days from today (August 26) while the Men’s Marathon will be the day before. As a whole, Team Philippines is (unfortunately) not expected to perform well. Four years ago in Incheon, South Korea, we produced one of our worst-ever showings: only Daniel Caluag won gold (in BMX cycling). We ended up winning 15 medals (one gold, three silver, and 11 bronze) and hope to improve on this performance. What’s interesting with this Asiad is the inclusion of eSports or electronic sports. Although it’s now a demonstration event, it will be a medal sport in 2022 in Hangzhou, China. Games like “StarCarft II,” “Arena of Valor” and four other video game titles will be played by 18 competing nations. What puzzles me — as an internet-savvy nation — is the exclusion of the Philippines in eSports at the Asiad. 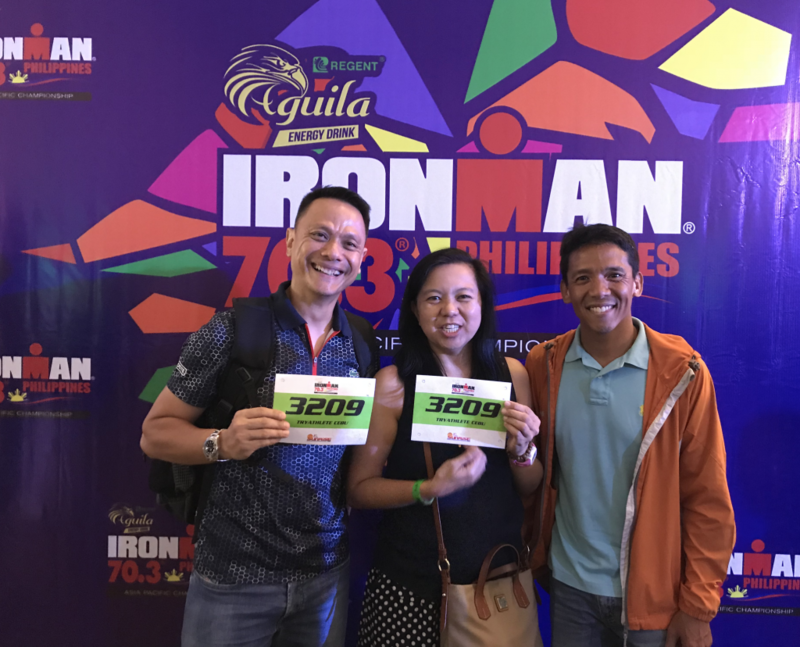 For the sixth time in seven years, I joined last weekend’s Ironman 70.3 race. 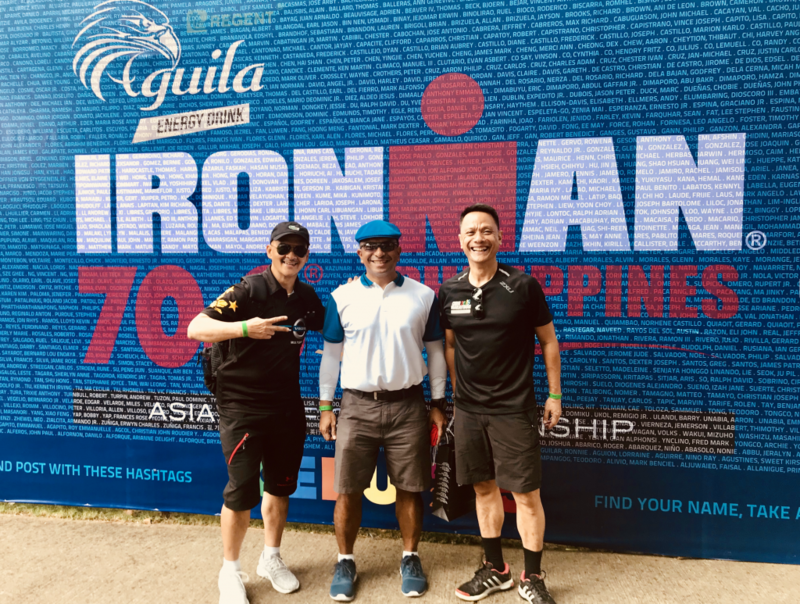 I replaced Dr. Sander Ugalino as the cyclist to join famed triathlete Abet Biagan (our swimmer) and Dr. Mai Ugalino (runner). While the 1.9-km. swim off the shores of Shangri-La Resort and the 21K run inside Punta Engaño have remained unchanged, the major question mark was the 90 km. bike route. Having used the SRP for the past six years, how was this route going to fare? Days after Sunrise Events’ top honcho Princess Galura made the announcement last month, murmurs of criticisms surfaced: Six bridge climbs? Three repetitive loops? Narrow roads in Mactan? Having pedaled for 90K last Sunday, what’s my assessment? I loved it. First, it was new. If you keep on traversing the same route (like the SRP portion), you know what to expect. Last Sunday, the thousands who biked were treated to a new journey. It wasn’t boring. It wasn’t endless kilometers of straight asphalted SRP roads towards Talisay. You slowed for turns, climbed, sprinted under shaded trees, overheard airplanes flying at the runway. It was fun. The old Mactan Bridge wasn’t as daunting as the Marcelo Fernan Bridge. It’s shorter and faster to climb. Yes, it’s a total of six climbs up the bridge but it added to the drama and design of the race. Also, although this is unrelated to the bike route and is applicable only to those joining the relay, an improvement this year: the transition area had plenty of tents and chairs were available. (In previous years, we had to “pungko-pungko” on the rocks while Piolo Pascual had his cushioned seat and cordon of bodyguards.) Thanks to Jonel, Chipi and Andre Borromeo and their Motor Ace group, there was plenty of drinks and bananas and Leona cakes (courtesy of Jane-Jane Ong). Would I recommend the continuance of this bike route for 2019? Absolutely. I’ve already heard from friends who did not join last weekend — and upon hearing of the positive feedback — wanting to join next year. Like the Olympics and Asian Games, the FIFA World Cup happens only once every four years. Since it was founded in 1930, only eight countries have won sport’s most coveted trophy: Brazil (five times), Italy and Germany (four), Argentina and Uruguay (two), and — surprising — only one title apiece for France, Spain and England. Russia is the 2018 host and the total of 64 matches are played in 11 cities. The games started last June 14 and will culminate with the final on July 15 in the 81,000-seater Luzhniki Stadium in Moscow. How expensive is this month-long event? In Phil. pesos, it’s mind-boggling: P756 billion! Can you believe that? At $14.2 billion, it’s the most expensive WC in history. Thirty two nations are joining, led by the defending champs (and world’s top-ranked team) Germany, who lost in the opener against Mexico and played Sweden at 2 a.m. (Phil. time) today. Based on TV viewership, an estimated 3.2 billion watch each World Cup (versus 3.6 billion for the Olympics). But what makes the WC more prestigious is there’s only one nation-winner. And the World Cup trophy itself? Since 1930, only two trophies have been used and the current one is made of 18 carat gold. With our local TV coverage, I’m glad that SkyCable has superb coverage. The past week, I was able to watch snippets of the matches shown at 8 p.m. Last week, thanks to Liga HD channel 757, we witnessed the 1-0 loss of South Korea to Sweden. I’m sure the thousands of Koreans residing in Cebu trooped to the bars to cheer for their countrymates. The games are shown at 8 p.m., 11 p.m. and 2 a.m.
With the Philippines, now ranked (by FIFA) 115th in the world (we reached a historic best No. 111 last month), is there any way for us to join the World Cup? Yes. First, if we host it! The hosts automatically qualify. But given the normal qualification route, it’s very unlikely. But consider this: for the first time, five countries from Asia (the AFC) have qualified for the WC. These are Australia, Iran, Saudi Arabia, Japan and South Korea. There are numerous superstars in Russia. But among the names that include Messi, Neymar and Luis Suarez, none have shown brighter than Cristiano Ronaldo. He has scored every one of Portugal’s goals. This is Ronaldo’s fourth WC appearance and, while he scored only once in Germany (2006), South Africa and Brazil, he has netted four goals thus far in Sochi, Russia. Acting? Fake injuries? Ha-ha. There are so many players worthy of Oscars trophies in football. With multiple slow-motion angles and replays now available, you can’t hide the actual millisecond interaction. It starts with the fall. Then the anguish and crumbling in pain. It’s laughable. Finally: VAR. Called Video Assistant Referee, it’s the first time for the WC to employ video review. It has become controversial with some arguing that it goes against tradition. But this is good for the game. In the low scoring format of football, all it takes is one mistake of the referee (wrongly awarding a free kick) to determine the game’s outcome. Technology has arrived in the land of Vladimir Putin. Tennis fanatic or not, you’ve got to watch the French Open men’s final tonight at 9. If you don’t have cable TV access, try live streaming. Just a few Google clicks will lead you to several real-time options. With SkyCable, while I complained before when the NBA coverage was cutoff, this time with Grand Slam tennis, there’s much rejoicing. Thanks to the Fox Sports HD channels, we get two simultaneous matches (channels 758 and 759). One shows the Philippe-Chatrier (main) court and the other, in Suzanne-Lenglen. To those who’ve been watching the past 14 days, aren’t the games scheduled perfectly? They start at 5 p.m. and run throughout the night. The problem is, if you don’t sleep late (I normally sleep at 11), then your sleeping pattern is disturbed with the late night drama. Roland Garros (the other name of the French Open) is the toughest among tennis’ four majors. It’s played on slow red clay where the ball bounces high and is softened by this dusty material — which means more rallies and shots executed before a point’s completion. Marco Cecchinato is the biggest surprise. Prior to his defeat of Novak Djokovic and semifinal finish, he had never won a Grand Slam match. If you didn’t catch his game against Djokovic, find a YouTube clip and watch the exerpts. Drop shots. Slice backhands. Angled forehands. The match was not your boring bang-bang type — credit the Italian’s flair and creativity, like Fabio Fognini — it was exhilarating. Diego Schwartzman? He’s named after his fellow Argentine, Mr. Maradona. Both are diminutive, standing the same at 5-foot-6. Diego The Tennis Player nearly concocted the mightiest upset in sporting history when he led Rafael Nadal, 6-4, 3-2 in the quarters. The rain poured, much to the Spaniard’s delight, and Diego’s upset try was doused in futility. Which brings us to tonight: Dominic Thiem vs. Nadal. Thiem is confident. Only 24, he’s ranked world no. 4. And, as pointed out by my best buddy Jourdan Polotan yesterday, the Austrian has defeated the Spaniard multiple times. 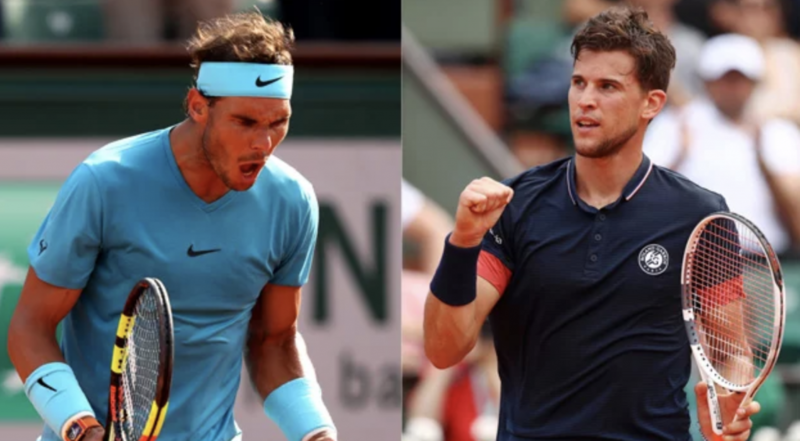 While Nadal has won six of their matches, Thiem has won thrice — and all their previous matches were on clay. Thiem’s biggest morale booster? He beat Nadal last month in Madrid, 7-5, 6-3. My prediction? I answered Jourdan this word yesterday: “Irrelevant.” Thiem’s latest win and his upbeat attitude are irrelevant. Paris is 3 out of 5 sets. There’s a reason why Nadal’s record is 10 trophies and only two losses (Soderling and Djokovic). He might call Mallorca his home but his heart and spirit reside in Stade Roland Garros. Three years ago, I was fortunate to have watched three days of action in Paris. I watched in awe of Nadal’s every match. He sweats profusely, sprints like an unleashed dog, spins his strokes with that wicked wrist snap. Expect Rafa to collect his 17th major.. drawing him closer to the 20 owned by his friend Roger Federer. It was 21 years ago — back in 1997 — when Cebu last hosted the PNG. It’s about time! Shall we have the Palarong Pambansa next? Cebu has not organized the Palaro since 1994. Yes, why not; but that’s another story. Who are eligible to join? If you’re a Filipino aged 16 and above, you can participate. Just enlist yourself under a specific city or province and, if you’re one of their best, you can compete. Participation is for free. Pres. Digong Duterte was scheduled to open the PNG yesterday at the Abellana grounds. The Opening Ceremony, we are sure, was another spectacular show — thanks to Ricky Ballesteros, who has organized dozens of the country’s best presentations, ranging from the Milo Olympics to the Sinulog. The PNG games run from May 19 to 25 and will be played mostly in Cebu City (except for softball at the Mactan Airbase, triathlon and duathlon in Tabuelan, cycling in Danao, and women’s tennis in Naga). Only two sports, gymnastics and rugby football, will be played in Manila because of our lack of facilities here. If you’re a mall-goer, SM Seaside City will host arnis, karatedo, judo and taekwondo. Robinsons Galleria will host chess, dancesport and table tennis. There will be 21 sports played: athletics, archery, arnis, badminton, boxing, chess, cycling, dancesport, judo, karatedo, sepak takraw, softball, swimming, table tennis, taekwondo, tennis, triathlon, volleyball, and weightlifting. Interestingly, two of our country’s most famous games — basketball and football — are excluded. It’s great to see that the city and province are teaming up for this major co-hosting job. Edward Hayco of Cebu City and Atty. Ramil Abing representing the province have joined forces. This tandem is formidable; Ed and Ramil are passionate, selfless, sports-loving and organized. The PNG as a national event is important. It serve as an avenue for the national teams to choose their top performers. Based on the Cebu results, many will wear our Phil. uniform to compete abroad. In all, over 3,000 competitors will be competing in this 7-day sportsfest. PSC’s Ramon Fernandez plans for the PNG to be a biennial meet, similar to that of the SEAG (which the Philippines is hosting next year). The winning athletes will receive medals and accolades. But they’re not the only recipients of awards. The PNG will also serve as competition for the Local Government Units. There will be 96 LGUs joining with the top LGU receiving P5 million (that will go to their sports program) of the total P15 million in sporting assistance. Cebu is proud to welcome and host the PNG. Houston, Golden State and Cleveland were expected to reach this semifinal stage. How about Boston? With Gordon Hayward injured in their first game and Kyrie Irving out during the playoffs, nobody expected the Celtics to advance this far. What are the odds among the Big 4? The Warriors are -130. The Rockets are next at +247. The Cavs are pegged at +552 while the Celtics are +2070. In the East, had Kyrie been healthy, this Batman vs. Robin face-off with LeBron would have us salivating. As their series unfolds tomorrow (3:30 a.m., Phil. time), it’s obvious that the Cavs are favored. Mr. James has been Mr. Jordan-like this post-season, averaging 34.3 points, 9.4 rebounds and 9 assists per game. And who can forgot that buzzer-beater in Game 5 against the Pacers or that one-handed, sideways-facing dagger in Game 3 versus Toronto? Cleveland in 6. I’m more excited about the Wild Wild West. During the regular season when they met three times, Houston won twice. And, as if it’s a premonition of what’s to come, the two met during the regular season’s first game. The outcome: 122-121, with Houston victorious. Was that result on the NBA’s opening night a sign of what we’re about to witness next week? Yes. This series will be close and will be absolutely thrilling. Steph Curry was the MVP in 2015 and 2016 while James Harden is expected to win the coveted 2018 title. Houston stole the league’s best regular season record from Golden State, winning 65 against the 58 of GSW. The usual trash talk and war of words was unleashed a few months ago when Clint Capela of Houston boasted that they’re superior to the champs. Who’s favored? It’s still the Warriors. Now that Curry is healthy, this squad has reached the last four Western Conference Finals and won the NBA title twice. Their only disadvantage this year? They don’t own homecourt advantage. Will this matter? Maybe not. Given that oddsmakers are pointing at a Part 4 of the Warriors-Cavaliers rivalry, it’s interesting to cite that both favored squads don’t own homecourt advantages. Houston has to win their first two games at the Toyota Center in Texas to have a chance at dethroning the champs. Same with Boston tomorrow. The most famous female athletes in the country today perform these tasks: they serve, toss, spike, block, set, dig and kill. That’s volleyball. Jia Morado. Alyssa Valdez. Jaja Santiago. Kim Fajardo. Mika Reyes. Bea De Leon. Sisi Rondina, who was born in Compostela, Cebu. Are these names not national figures? Have we not watched them do a pancake, or a dink shot, or serve a floater? Thanks to ABS-CBN Sports and their live coverage of almost every UAAP and NCAA game, we follow the sport of volleyball. And while in most sports the men are more popular than the women, in volleyball, it’s the opposite. Sure, Marck Espejo is sikat but the women rule volleyball. Coming from Cebu, one player was honored in the UAAP Season 80 with a prestigious award: Best Setter. Her name is Deanna Wong. From STC in elementary to USJ-R in high school, Deanna became a star. For college, she was recruited to play for the Ateneo Lady Blue Eagles. Now on her third year in ADMU, Deanna had immense pressure because she was replacing one of the school’s best-ever setters (Jia Morado), who graduated last season. I’ve gotten to know Deanna. In the past three years since my daughter Jana has studied in Ateneo, I’d meet Deanna quite often. At the campus, she often leaves the Eliazo Dorm for their twice-daily practice sessions. Deanna is kind, respectful and humble. For the UAAP Season 80, the Ateneo women’t team did not win gold; they lost in the semifinals to FEU (and La Salle went to win its third straight title). But if there’s one award to be proud of, it’s the Best Setter trophy to Deanna. “She was surprised that she got the award,” said her dad, who added that she was a rookie in her position. I asked Dean (who traveled to Manila almost weekly during the UAAP season to watch the games live), what lessons Deanna has learned in the pressure-filled arena, with over 20,000 in attendance at the MOA Arena or Araneta Coliseum. As proof of that, Deanna Wong is the UAAP’s best setter. Two major off-road events are happening in Danao. Today, it’s the XTERRA Philippines . If Shangri-La has the Ironman 70.3 race involving smooth asphalted roads, this event is off-road. It’s the mountain-bike and not the thin, sleek tires of the road and time-trial bicycles. XTERRA kicks off this morning at the Coco Palms Beach Resort in Danao. Three categories are offered. The full distance includes a 1.5K swim, a challenging 28K bike ride, and an 8K trail run. The “Lite Distance” features half of the Full distances. And if you’re afraid of the open sea, there’s the Duathlon: 2K run, 14K bike, and 4K run. Relay teams are available. This is the second time for Danao to host XTERRA. The previous host was Liloan. On three occasions, I had the chance to join XTERRA. Twice as a relay (biker) participant and once joining the Lite category. (On the latter, I placed 2nd in my category — but there were only 4 of us!) If you’re a mountain-biker and do triathlons, this is your event. ASIAN MTB. Two weeks from now, it’s the Asian Mountain Mountain Bike Championships — also in Danao. The event runs from May 2 to 6 and will feature elite cyclists from Japan, China, Malaysia, Iran and Taipei. One of big names is the highest ranked MTBer in Asia: Toki Sawada of Japan. The other top starts are Iran’s national champ, Khodayari Farzaf; 2017 Japan national champion, Kohei Yamamoto; and the defending 2017 Asian Continental champion, Lyu Xianjing of China. Among the women, the star is Asia’s top ranked cyclist, Kanako Kobayashi of Japan. She’s up against our very own: the Philippine champion and Asia’s No. 2: Ariana Patrice Dormitorio. They’ll be joined by Asia’s 3rd ranked and the defending Asian MTB Champion from China, Bianwa Yao. 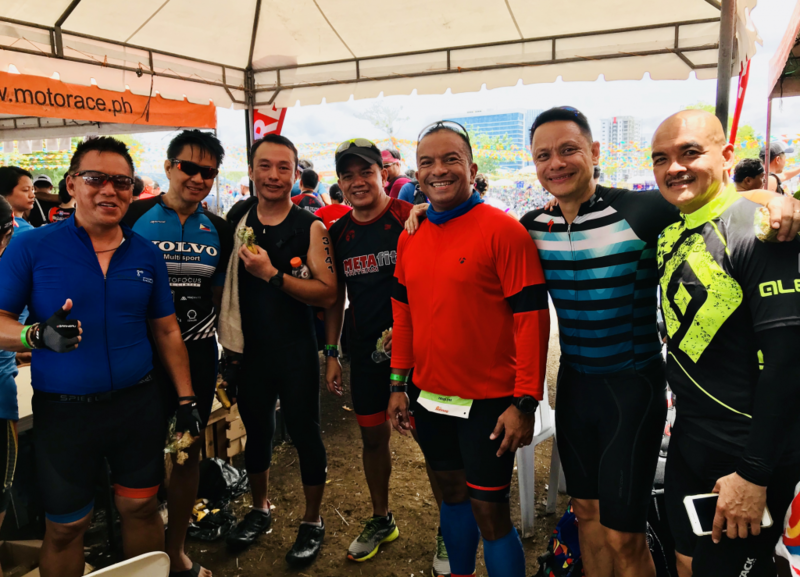 With these twin events happening two weeks apart, it’s no wonder why Danao City is often called the “mountain bike capital of the Philippines.” The Durano family members are all avid cyclists, led by the mayor himself, Ramonito Durano, who has been pedaling bicycles for many decades. Only 28 years old, June Mar Fajardo is a already a four-time Most Valuable Player (MVP) honoree, a Best Player of the Conference awardee six times, and has won for the San Miguel Beermen the championship trophy on six occasions. Last Friday night, with SMB down by as much as 23 points to Magnolia, he scored 12 of his team’s last 15 points to force overtime, and, after playing for 54 minutes in double overtime, he topscored with 42 points and grabbed 20 rebounds. Is there any ballplayer who’s more reliable? As he collected his second Finals MVP trophy, his averages in the past five games were impressive, Anthony Davis-like numbers: he averaged 24.4 points and 16.2 rebounds. Coach Leo Austria knows the secret that we all know: If you want to win, to ignite a comeback, to score, you pass the ball to the center who’s the center of attraction. Twenty three points down? With a desperate Magnolia eager to extend the series to a sixth game? Let’s go to June Mar. From the coach, that’s not mere confidence in one player. That’s belief. That’s certainty. Is the any athlete in the country today who’s more dominant, dependable and towering than the 260-lb. center? Or, can I rephrase that line and ask: Is there anyone in PBA history who’s better? Only 28, he still has a good five, 7, 10 years ahead of him. By comparison, one of the PBA’s greatest (if not THE greatest), another Cebuano superstar named Ramon Fernandez, played until he was past 40. 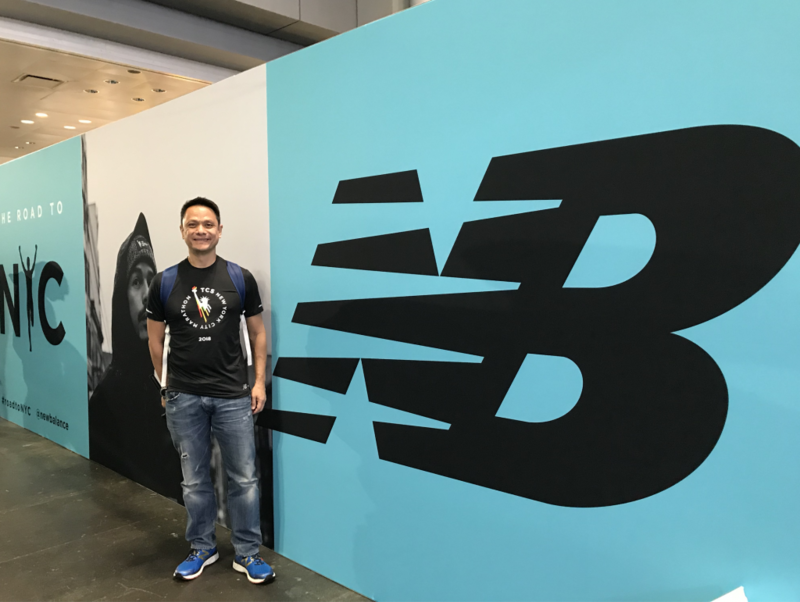 University of Cebu (UC) is proud of its son. Atty. Gus Go and Atty. Merong Estenzo know that he’s the most famous alumni in UC’s 54-year history. Compostela is proud to say that this dominant force in Asian basketball was born in its confines. So is Pinamungajan, a municipality of 70,000 residents, which was home to June Mar in his youthful days and where his parents still reside. I’ve had the chance to meet and talk to June Mar on several occasions and he has remained humble, soft-spoken and, despite all eyes and mobile phones focused on him wherever he goes, he has remained shy. During the SMB-SAC Cebu Sports Awards last year at the SM City Cebu, I sat beside Fred Uytengsu (Sportsman of the Year) and June Mar (Athlete of the Year). There’s no stopping the Cebuano. He’ll score. He’ll rebound dozens per outing. He’ll collect more MVP trophies. Can we ship him to the NBA to become our first Pinoy in the league of Steph and Kyrie?